Here at Clifton Villa , we are proud to offer keyhole surgery at our Truro branch. Keyhole (laparoscopic) surgery is very common in humans and the technique has now been adapted for operations in animals. The keyhole spay is performed via three very small holes (usually around 1cm diameter) in the abdomen which allow fine instruments and a magnifying camera inside the body to perform the surgery, removing the ovaries only (ovariectomy) with maximum precision and minimal invasion. Ultrasonic sealing of blood vessels, not tied with suture. The cost of keyhole neutering is higher than the traditional method as the procedure is carried out by specially trained surgeons’ and requires specialist equipment. The cost is a £180 supplement on the standard spay cost (discounted for Healthy Pet Club members). We also offer keyhole gastropexy surgery for dogs at risk of GDV and cryptorchid (undescended) testicle removal. All operations are supported by our 24 hour on-site nursing cover if needed. Removal of cryptorchid (undescended testicles). 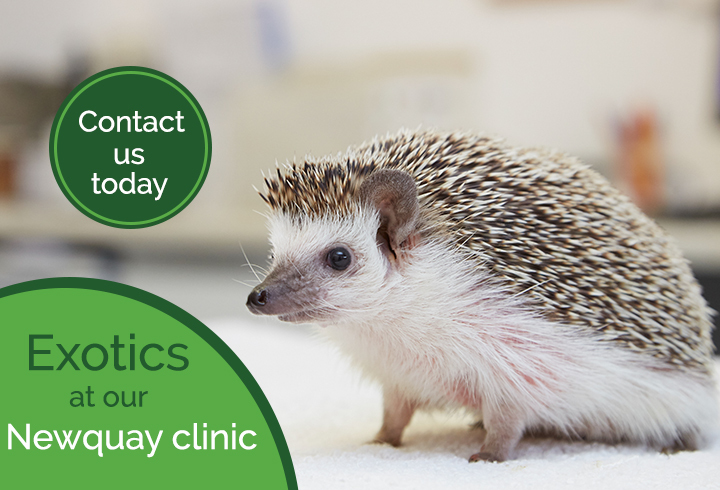 If you are interested in further information regarding laparoscopic procedures or would like to find out about booking an appointment for your pet, please call us on 01872 273694.